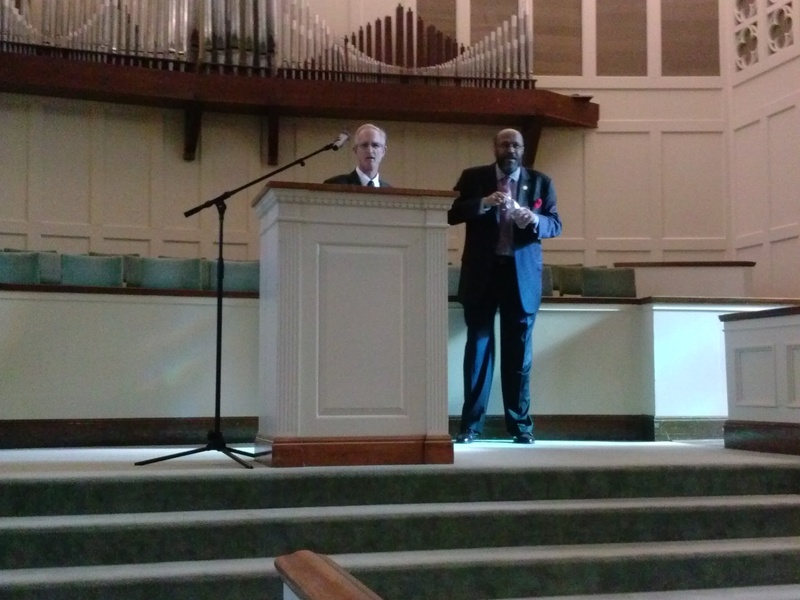 "Religious Liberty and Racial Injustice: Can You have One Without The Other?" 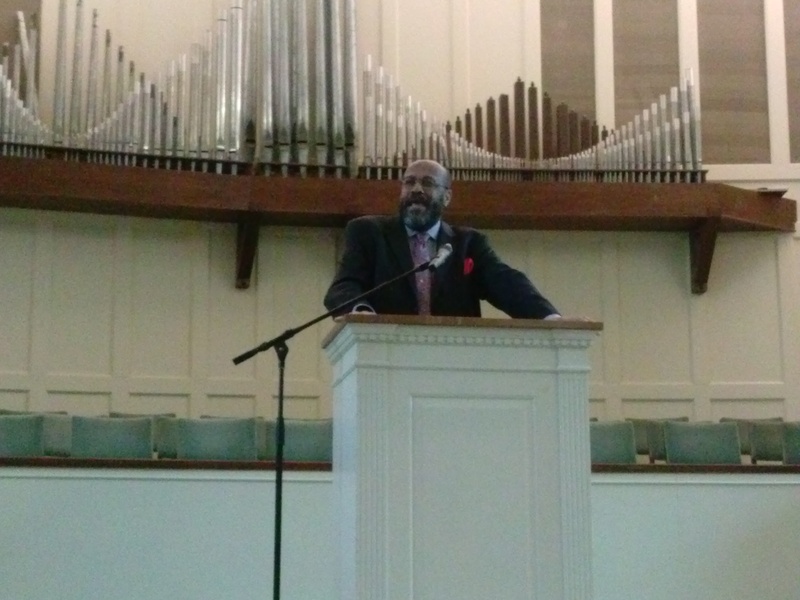 • Dr. McMickle is the President, Professor of Church Leadership, and Director of the Program of Black Church Studies at Colgate Rochester Crozer Divinity School. 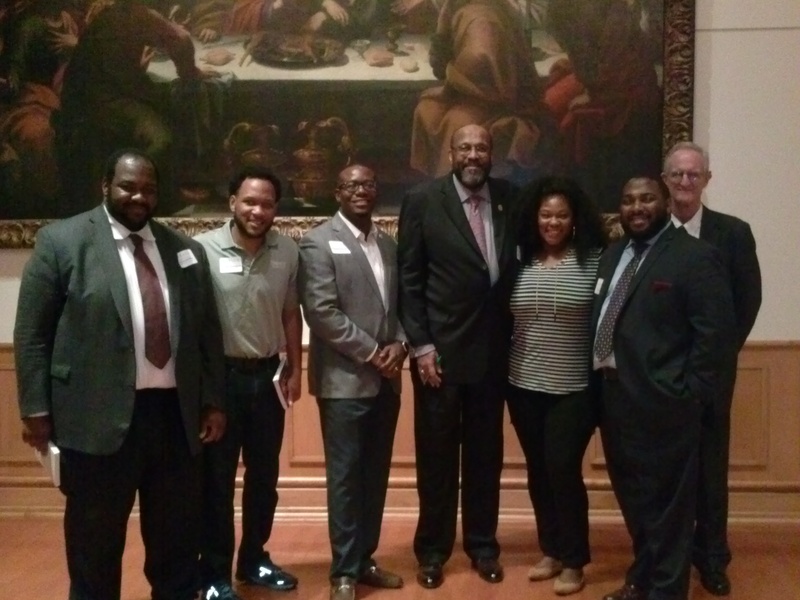 • As part of the Wamble Symposium, Dr. McMickle also met in the evening at Truett Seminary's Great Hall with university faculty and students as well as local church leaders to further discuss Church-State issues. • Born in Chicago, Illinois, in 1948, Marvin A. McMickle is a 1970 graduate of Aurora University in Aurora, Illinois, with a B.A. in Philosophy. His alma mater also awarded him the honorary degree of Doctor of Divinity in 1990 as well as the Distinguished Alumnus Award in 2000. He earned a Master of Divinity degree from Union Theological Seminary in New York City in 1973. That school also awarded him the Unitas Award in 2007. He earned a Doctor of Ministry degree from Princeton Theological Seminary in Princeton, NJ, in 1983. Princeton later named him a Distinguished Alumnus in the school’s bi-centennial year of 2012. He was awarded the Doctor of Philosophy degree (Ph.D.) from Case Western Reserve University in Cleveland, Ohio, in 1998. In 2010 he was awarded the honorary degree of Doctor of Humane Letters by Payne Theological Seminary in Wilberforce, Ohio. • He was ordained to the Christian ministry in 1973 at the Abyssinian Baptist Church of New York City where he served on the pastoral staff from 1972-1976. He was pastor of St. Paul Baptist Church of Montclair, New Jersey, from 1976-1986. While in New Jersey he served as president of the New Jersey Council of Churches from 1982-1986, as a member of the Montclair Board of Education from1982-1986, as well as two terms as president of the Montclair Chapter of the NAACP. He also taught preaching at New York, New Brunswick, and Princeton Theological Seminaries. • From 1987-2011 he was Senior Pastor of Antioch Baptist Church of Cleveland, Ohio. During that time he led the church in establishing a ministry for people infected with or affected by HIV/AIDS. It was the first church-based program of its kind in the entire country! He also initiated the practice of having the church tithe one-tenth of its annual income to community-based programs every year. 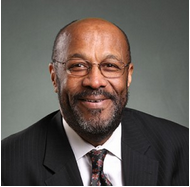 While in Cleveland, Dr. McMickle served on the Board of Trustees of Cleveland State University, as president of the Shaker Heights Board of education, and as president of both the local NAACP and Urban League chapters. 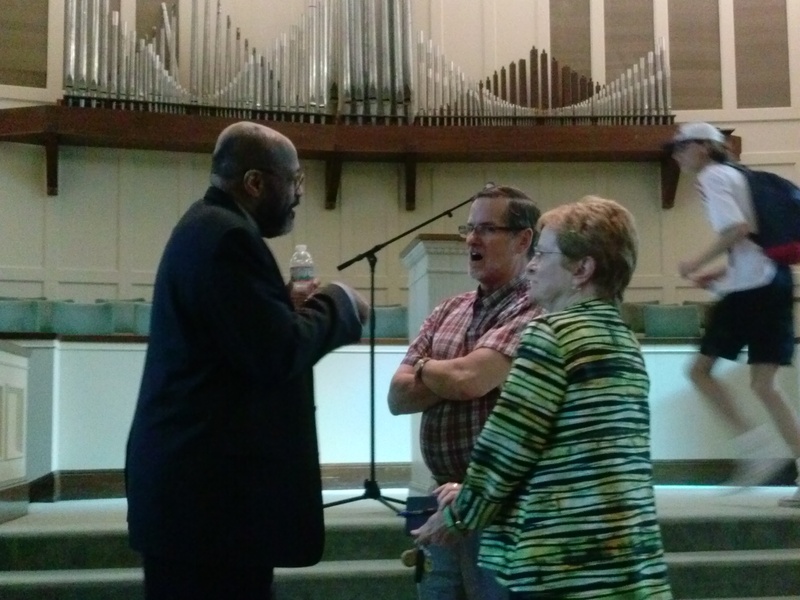 He was the Professor of Homiletics at Ashland Theological Seminary from 1996-2011. Upon leaving Ashland he was voted by his faculty colleagues to be Professor Emeritus. He is a member of the Martin Luther King, Jr. Board of Preachers at Morehouse College in Atlanta, Georgia. In the winter semester of 2009 he served as a Visiting Professor of Preaching at Yale University Divinity School. • He was elected to be the 12th President of Colgate Rochester Crozer Divinity School in 2011. • He has been married to Peggy Noble McMickle since 1975. They have one son, Aaron James who lives in Brooklyn, New York, with his wife Pilar Ramos and their daughters Aaliyah and Lola.